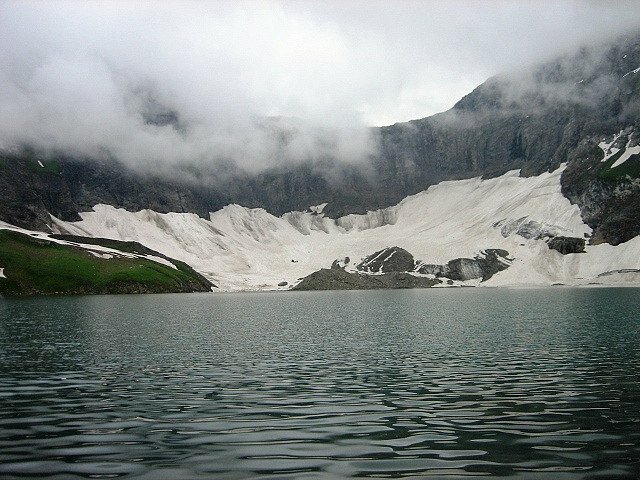 Ratti Gali Lake, The Dream Lake, a place you ever dreamed to visit, it’s like a paradise on earth. 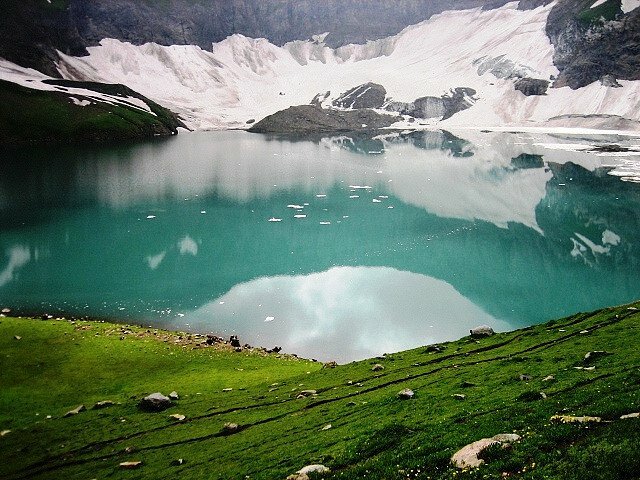 So beautiful place, this Lake is more beautiful than anyone can dream. 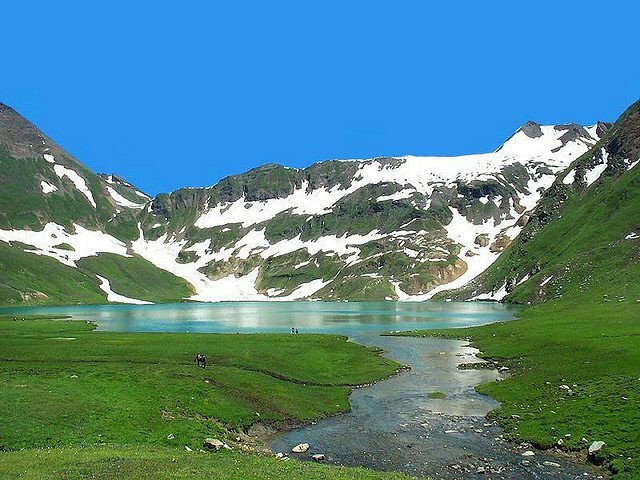 Besides the lake it’s the Lush green meadows, filled with wild alpine grass and flowers, which increases the beauty of this Lake. 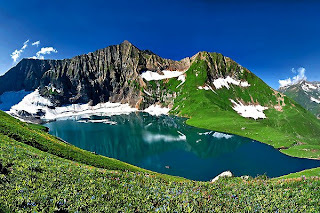 Ratti Gali Lake in Ratti Gali, a trek from Noori top, Northern Areas into Kashmir, Pakistan, at the elevation of 13000-14000 feet above sea level. 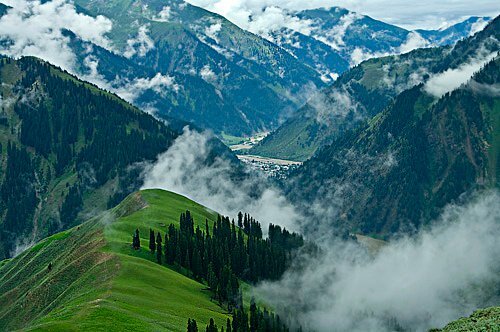 From Dowarian 22Km above Athmuqam a track leads 30km upto 4140 meter high Rati Gali Pass or Ratti Pass and on towards Lalazar pleatue in Kaghan valley. 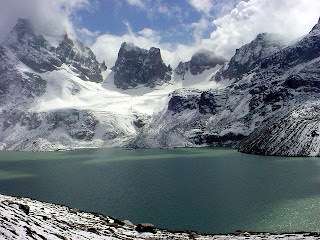 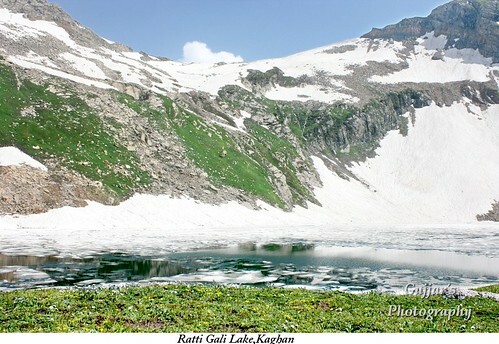 Near the pass is The Ratti Gali Sar, an alpine lake. 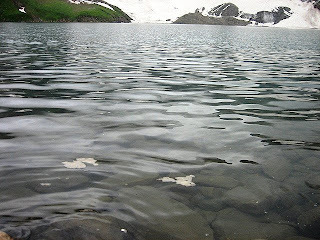 Sar means lake. This valley and trek is Alpine Meadow/Himalayan tundra, around august these green pastures are filled with wild alpine grass and flowers and some orchids. 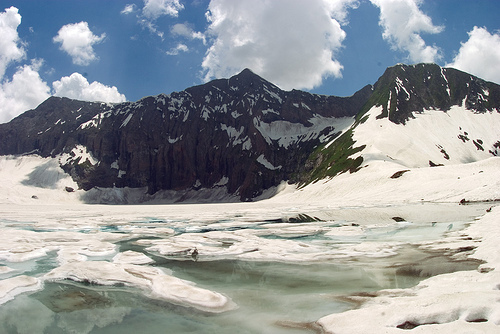 In winter this valley is covered with white snow and big chunks of Glacier floats in the dark blue magical water like huge swans. 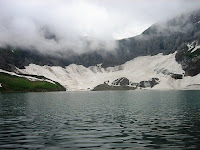 Ratti Gali Lake is place where people come and wishes to live here forever because it is so beautiful, after seeing the images of the lake you will be dying to visit this place. There are much beautiful places like Ratti Gali Lake in Pakistan, and unfortunately people are un-aware of these Places. 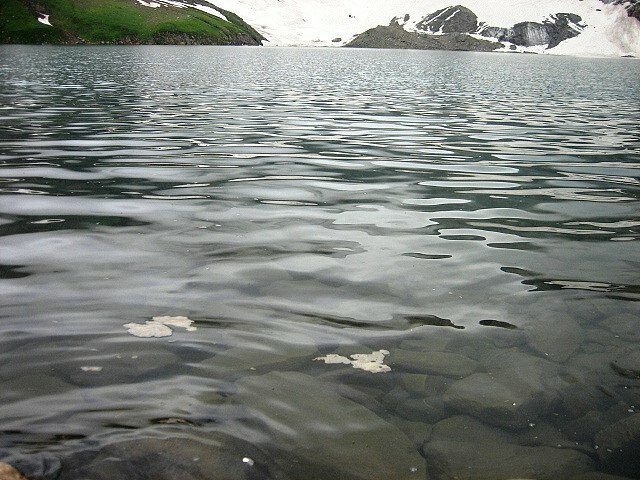 I recommend people to prefer these place on Switzerland for spending your holidays. All of these lakes are lovely and incredible which are uncommon in the world that's why every year we book flights to Islamabad from Heathrow to visit such a precious places of Pakistan at very cheaper cost.